Eton College hosted our visit in February to their Museum where we saw original notes & manuscripts from the Beagle and George Fussey the museum Curator and Eton Master gave a short talk on Darwin the man. In April we viewed Stephen Pinkers utube presentation about his most recent book. A lively discussion followed about the good progress mankind is making querying why this positive message is being dorwned out by dystopian fears for our futures! Richie Thompson from Humanist UK talked to us in May about the campaign against the spread of faith schools in the UK and summarised his other work lobbying across Government. There was a lively Q&A and discussion afterwards! Sarb Athwal talked to us about her work campaigning against honour killings in the UK based on her own traumatic experiences. Her talk was very moving and very powerful and affected everyone present very deeply. Press the image above to link to her charity True Honour. Hari Parekh gave an entertaining and profound talk on 'Faith, Family, & Other Folks Tales Leaving Religion Behind' based on his own family, experience & research as a clinical pyschiatrist. Once again we had a lively Q&A and wide ranging discussion after and during the talk. Our very own founding member Roger Heppleston gave a passonate talk about how the moderate religioius and non rel;igious need to co-operate to save earth's environment and to secure the enlightenment. Roger is now taking his talk on a nationwide tour to other humanist groups and yoiu can buy his book via the link aboe on amazon. Our local profile continues to widen with the regular appearance of our Chair Anthony to givea non religious perspective on the Sunday mornings Paul Coia's faith programme on BBC Berkshire. You can hear all the clips by pressing the image above. Windsor Humanists hosted in March the last in the 3 year series of multi faith dialogues organised by WAMCF. The event was a great success attended by over 60 people from across the Borough. EHT topic for discussion was apt - What Does it Mean to be Human? The picture above shows Roger doing a stirling job on the car parking and thanks go to Lucy for speaheading the effforts in the kitchen! TThe Slough Windsor & M'Head Initiative organised 3 very successful Community Street Showcases in the town centres during July. SWAMI is a collaboration between Windsor Humanists and two local inter faith groups WAMCF and Slough Faith Partnership. Head of Ceremonies Isobel Russo visited Windsor in September to speak to us very passionately about her personal motivation for promoting humanists ceremonies. Her talk was heartfelt being based on her own life experience which was very moving. There was a lively Q&A session afterwards. Prof Chris French gave a brilliant and entertaining talk in Nov 2017 about his research into the anomalistic science of the paranormal, and how 80% of us still to some extent hold on to superstitions and belief in unseen forces. Many water diviners are scientists despite the technique being no better than guesswork when tested properly! Every Year we get together in a local restaurant to celebrate the festive season in style. The Chair briefly summarises the year gone and provides a forward look to next years program. All are welcome to join us as we celebrate the end of 2017 and the start of a new year 2018. Len Mann from Population Matters spoke to us in March 2017 about the human population growth and impact on the environment. The UN predicts the human population will peak at around 11bn from the current 7.5bn. Kemal Pervanic talked to us in May 2017 about his work on reconciliation in the former Yugoslavia. Kemal talked movingly about his experiences in the Omarsk Concentration Camp. Teddy Prout from the Humanists UK spoke in April about the fantastic work of Humanist Pastoral Carers who support non religious people in Prisons and Hospitals. An important growing area given that 53% of the population in the UK are now non religious. Summary of Jeremy Rodell's talk held jointly with the SFP in February about the BHA Campaign to improve dialogue between the non religious and people of faith. His main point was that over 50% of the UKs population are now non religious and as a result dialogue is key. David Pollock's comprehensive summary of humanism in April was uncompromising at times but he did acknowledge that spirituality is possible as an atheist! Martin Poulter gave us a great humourous exposition in March of how Scientology has built an edifice of nonsense beliefs into a well funded global and at times frightening cult! Bruce Nixon spoke to us in October about the need for new approaches to address weaknesses in our democracy in the UK. After his talk he facilitated a structred discussion on the issues that he raised which was the usual lively afafir! Jay Harman from the BHA spoke to us in November 2016 about the BHA campaign to resist the spread of Faith Schools in the UK and ensure fair admission and access for all pupils to the best schools reagrdless of the beliefs of their parents. Press the above image to link to the BHA web pages for more details on the campaign. Luke Donnelan from the BHA spoke to us in May 2016 about the excellent resources now available to Parents, Teachers and pupils about humanism. This is one of the BHA campaigns that Windor HUmanists are currently actively supporting. You can link to the resources by pressing the image above. The best attended of all our events in 2016. There was a vigorous and lively debate just a week before the vote with a wide range of views and opinions expressed both for Leave and Remain. A follow debate was held in September on British Values jointly with teh Slough Faith Partnership which was equally lively and well attended. Debates are clearly popular! 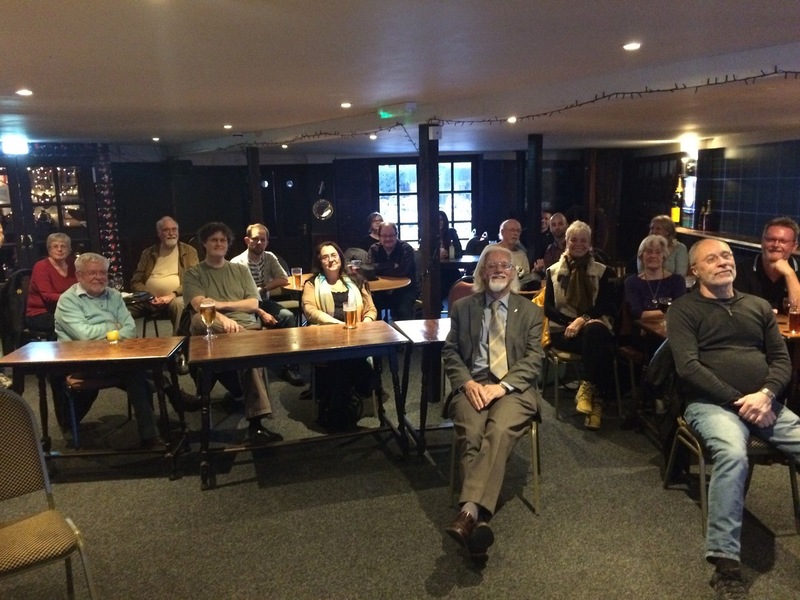 Group Annual Meeting 2015 (GRAM) - in November Roger Heppleston and Anthony Lewis represented WIndsor Humanists at this annual meeting which is used by the BHA to liase and co-ordinate the local Partner Groups from around the BHA. See the Gallery under the information tab above for a selection of pictures from this event. Life as Humanist Celebrant Tuesday 14th July & 8th Septmber - our local members Pauline Turner and then Caroline Barnett later in September provided us with a heartfelt overview of their work in the local area as Humanist Celebrants, their training, background, workloads, impact and the rewards. 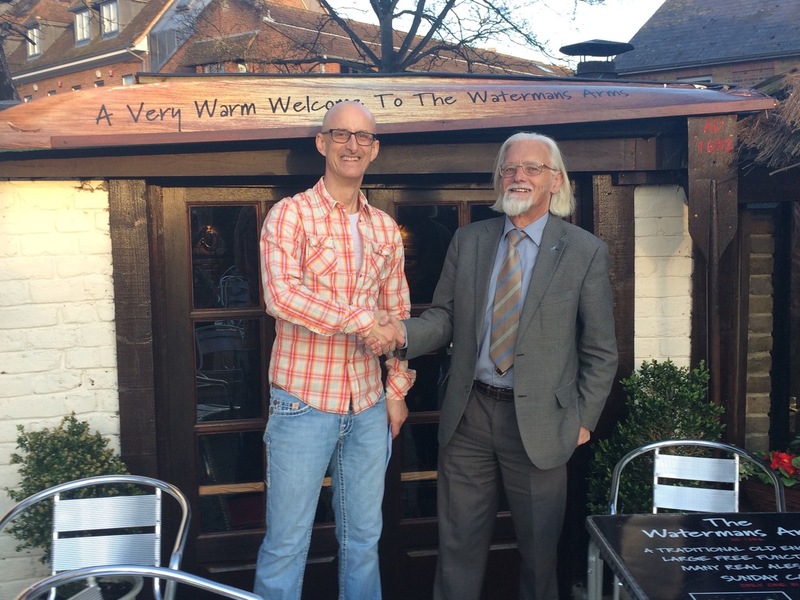 Our First Open Mike Night at the Waterman Arms in Eton on Tuesday 12th May 2015 - Peter Wilson started proceedings with a most excellent irreverent Comedy Warm up, Duncan Pollock followed with a warm heartfelt erudition on his take on Humanism, Helen, Rosie and Ellie gave us a mature thoughtful overview of what is taught in RI & Ehtics in one of our local schools, I asked the group for help with my issues with religious freedom of conscience, and finally but by no means least Peter then described his family's heart wrenching experience of coping with mental ill health. There was lively and very active Q&A throughout the night with both supportive, challenging and insightful contributions from the 18+ people. The format was a great success. We also had several new members attend. Thanks again to Gillian at the Waterman Arms for providing the venue for our use. First Speaker Event Tuesday 10th March - David Savage founding member of Farnham Humanists and BHA Head of Pastoral Support described to the 20+ people attending his motivations for being a humanis and his efforts in improving the pastoral support to the non-religious in the NHS and in prisons. Inaugural Social Meeting of the Windsor Humanists was held on Tuesday 13th January 2015 at the Duchess of Cambridge pub on the Highstreet Windsor - 22 people turned up at this first ever event and it was incredible how despite having never met before it felt like a meeting of friends, it was certainly a meeting of like minded free thinking people....... a great start to an exciting journey.